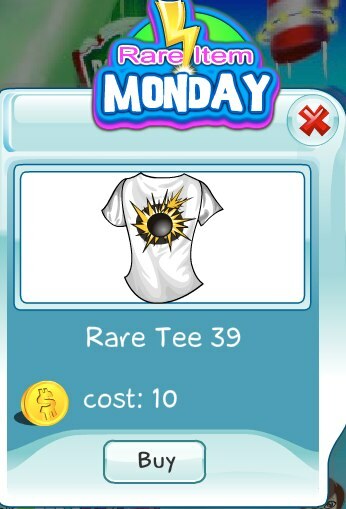 Rare Tee 39 is now available for you collection. This white tee features an exploding bowling ball (or something like that) with yellow flames. It's available today only and will be gone soon.